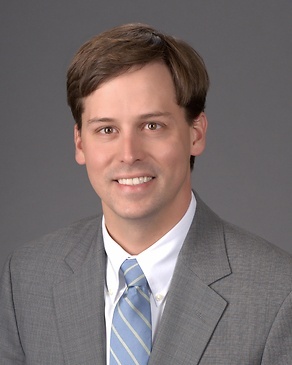 John Hackney represents clients in disputes with the Internal Revenue Service and other taxing authorities. He has advised clients on a range of tax issues, including Section 469 passive activity losses, gift tax valuation issues, captive insurance, accounting method issues, Section 1031 “like-kind exchanges”, and Section 183 hobby losses. He counsels individuals and businesses with their tax matters before the IRS, representing taxpayers before all levels of the review process, including during audits, the Office of Appeals, the Office of Chief Counsel, and at the U.S. Tax Court. John’s clients range from small businesses to large corporate clients, as well as individuals. John has extensive experience in the tax arena that precedes his law practice. He has a master’s degree in accounting with a tax concentration, and prior to attending law school he worked as a CPA for PricewaterhouseCoopers in its tax department where he focused on compliance work for a large private equity client and individuals. During law school, John served as the Articles Editor for the Georgia Journal of International and Comparative Law. After graduating from law school, he served as a clerk for Judge Thomas B. Wells of the U.S. Tax Court. Barber v. Commissioner – IRS asserts various issues against small business owner. Case settled for less than 10 percent of the amount due. April, 2011. Houghton v. Commissioner – Taxation of alimony payments under Georgia law. Spring 2011; Fall, 2014. Ahmed v. Commissioner – IRS asserts § 469 issues. Settled in Appeals with zero liability. August, 2011. Jerdan v. Commissioner – IRS contends that taxpayer failed to correctly elect Q Subchapter S Subsidiary status and failed to substantiate several expenses. Settled with Counsel for zero liability. August, 2011. Shapiro v. Commissioner –IRS contends that taxpayer’s operation of airplane constituted a hobby under § 183. IRS conceded 78 percent. November, 2011. Lampton, et al, v. Commissioner – IRS asserts ($15.5 million) taxpayer misstated value of stock. IRS concedes case and enters into closing agreement confirming validity of stock agreement. January, 2012. Williams v. Commissioner – IRS asserts change in accounting method. Appeals concedes entire case. August, 2012. Zachary v. Commissioner – IRS asserts adjustment to timber valuation. Favorable tax settlement and no penalties. Sept, 2012. Kennedy v. Commissioner – IRS asserts taxpayer operates horse business as hobby. IRS concedes 70 percent of issue. Sept, 2012. Fowler v. Commissioner – IRS asserts variety of issues against small business owner. IRS concedes 88 percent of case against businesses, and taxpayer. Net refund based on protective payments made. September, 2012. Houston v. Commissioner – IRS asserts § 183 disallowance against taxpayer's farming operations. IRS concedes 95 percent of the case. October, 2012. Sechler v. Commissioner – IRS asserts that taxpayer was not in business of lending money. Complete concession. February, 2013. Westwind v. Commissioner - IRS asserts that taxpayer operated airplane business as hobby. Complete concession. March 2013. IRS concedes later years in Appeals based on concession of 2007. Nall Development Corporation v. Commissioner – IRS denies bad debt deduction even though borrower included cancelation of indebtedness as income. IRS concedes bad debt issue resulting in savings of 93 percent of asserted deficiency. October 2013. CryoSurgery v. Commissioner – IRS asserts $30 million in pension plan penalties. Taxpayer enters into closing agreement with IRS on retirement plan issue. July 2013. McDow v. Commissioner – IRS asserts $2.3 million in tax and interest for 3 years. Settlement results in a savings of 93 percent of the amount requested. March, 2014. Fortune 50 Client – Represent client during audit and appeals. Among other issues, IRS asserts a value of $95 million for transfer of software to related entity, with a net adjustment of $91 million. The Appeals Office settles on a value of $21 million, with a net adjustment of $7 million. Overall, Client receives a refund. Fall, 2013. Fortune 50 Client - IRS asserts that § 1031 should not apply to $30 million of transfers of aircraft, that client failed to properly account for securities under the mark-to-market method of accounting, and that client cannot claim research credit on certain projects. IRS concedes § 1031 issue and enters into closing agreement on mark-to-market issue. Spring, 2014. Fortune 50 Client – Part of team which provided support for the ordinary deduction of €200 million termination fee. Smisson v. Commissioner – Follow up to Westwind v. Commissioner dealing with personal issues arising from audit of aircraft entity. IRS asserts deficiencies and penalties of $1.2 million for business operation of jet entity, aggregation of medical device businesses, and other issues. IRS concedes majority of issues and parties settle for 13 percent of amount due. October, 2014. Rosenberg v. Commissioner – IRS asserts mark-to-market adjustment to a single entity of a related group of mortgage companies, without asserting the same adjustment to the similarly situated entities. Favorable settlement. October, 2014. Cerisoles v. Commissioner – IRS asserts various adjustments including Section 183/hobby loss, substantiation, and basis issues. Favorable IRS settlement. August, 2015. Ostad v. Commissioner – Represent taxpayer with respect to captive insurance deductions. December, 2015. Givens v. Commissioner – IRS asserts that taxpayer was not a bona fide resident of the U.S. Virgin Islands. IRS agrees to favorable settlement. September, 2015. Cochran v. Ga. Department of Revenue – Georgia asserts taxes and penalties. After contact with Georgia Taxpayer Advocate, Georgia agrees to remove all taxes. August, 2014. "Appeals Judicial Approach and Culture: A Quantum Improvement", The Georgia Society of CPA's, Current Accounts, March/April 2015.